Any audience entering the Lyric Opera House in Chicago is immediately dazzled and immersed in opulence from the first glances around the lobby and performance space. 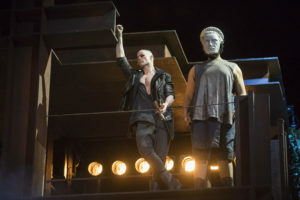 Add to this the experience, the lavish North American premiere of Timothy Sheader’s Olivier Award-winning production of Andrew Lloyd Webber and Tim Rice’s rock opera “Jesus Christ Superstar,“ and the passion, emotion and excitement exceed all expectations. 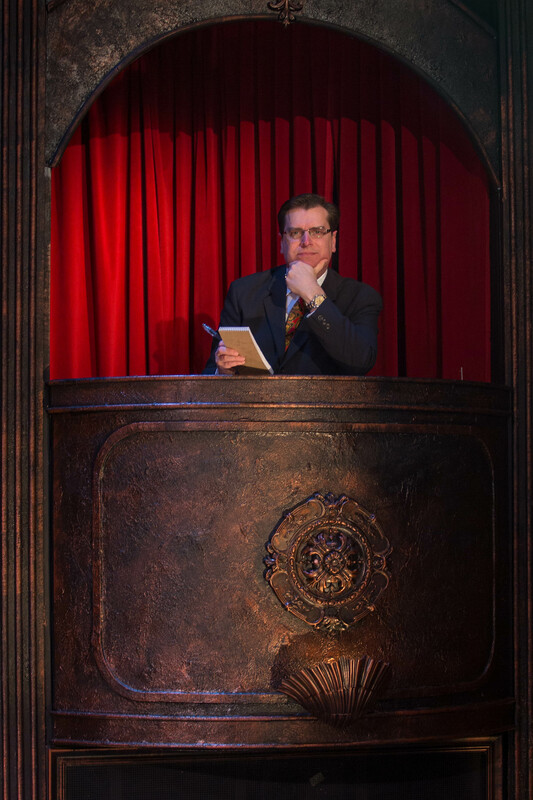 What began five years ago in 2013 as an amazing gift from the great minds at the Chicago Lyric to bring blend a bit of Broadway into the already stunningly engaging and expertly executed opera programming season, has now become my favorite theater seat tradition of Spring in the Windy City. Billed as the Lyric’s American Musical Theater Initiative, the 2013 launch had director Gary Griffin leading the way with a stage spectacle run of “Oklahoma!” coinciding with the musical’s 70th anniversary. At the same time, the Lyric treated audiences to the entire five-year span of planned titles, all in homage to classic Rodgers and Hammerstein musicals, an amazing commitment which I’m told no other opera company in the world has made such long-term dedication to producing American musical theater on an annual basis. Plans and dates for “The Sound of Music” (2014), “Carousel”(2015), “The King and I” (2016), and “South Pacific” (2017) were immediately released. But the big question was what would 2018 hold for eager audiences? 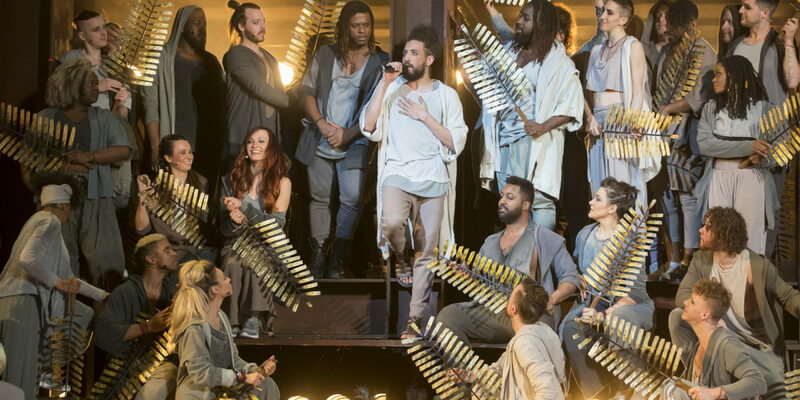 Chicago Lyric’s “Jesus Christ Superstar” continues the musical magic and momentum and the production design and talent on display is unmatched. (Lyric has already announced Leonard Bernstein and Stephen Sondheim‘s stage masterpiece “West Side Story” is up next in 2019. 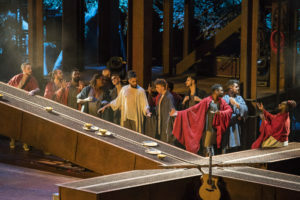 Zealotes, Shaun Fleming as Herod, Joseph Anthony Byrd as Annas, Cavin Cornwall as Caiaphas and Andrew Mueller as Peter, with a total of 48 cast members and 37 musicians, including members of the Lyric Opera Orchestra and Chorus. 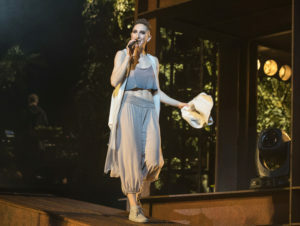 Note, the 2016 London performances for The Regent’s Park Theatre was comprised of just 11 musicians and 27 cast members. 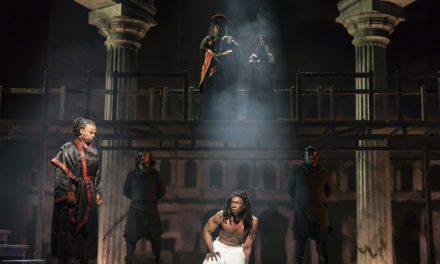 Set in two acts, “Jesus Christ Superstar” tells the story of the final seven days in the life of Jesus of Nazareth, and dramatizes Jesus’ entry into Jerusalem, the unrest caused by his preaching and his popularity, his betrayal by Judas, the trial before Pontius Pilate, and his ultimate crucifixion. 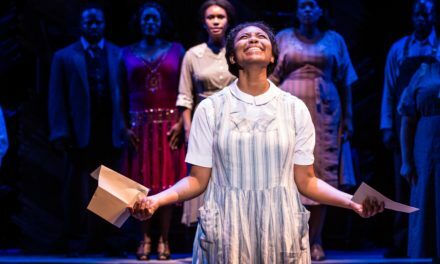 Three-time Olivier Award winner Sheader has created a reimagined work to resonate, engage and entertain Lyric audiences. Michael Cunio is cast as Pilate in the 2018 Spring run of “Jesus Christ Superstar” at Chicago Lyric Opera. Cunio earns his accolades as Pilate. In August 2015, I interviewed the Broadway performing artist and Under the Streetlamp singer at the time when he was working on growing a beard to step into the sandals of Jesus for the title role in “Jesus Christ Superstar” for a Star Productions run of “Jesus Christ Superstar” produced by Charlie Blum at Star Plaza Theatre in Merrillville. 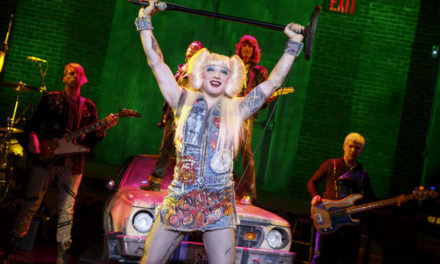 “This is the role I’ve wanted to do for a long time,” he told me back then, having no idea he’d be the leading talent opposition in the same stage musical story just a few years later as the conflicted governor who condemns Christ for in a Lyric opportunity of a lifetime. As for Fleming’s over-the-top fun go-around as Herod, it’s royal, rowdy and rich, just as audiences anticipate. 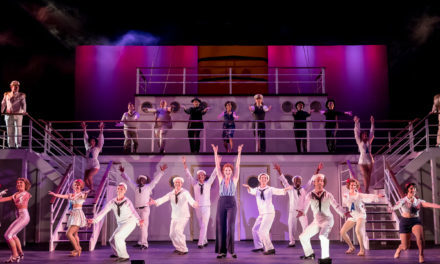 This Chicago headlining cast and impressive ensemble are wrapped in grand scale by the original creative team, including conductor Tom Deering, Olivier Award-winning choreographer Drew McOnie, Tony Award-nominated set and costume designer Tom Scutt, and Olivier Award-nominated lighting designer Lee Curra. The Lyric’s premiere of Lloyd Webber’s “Jesus Christ Superstar” is made possible by Lead Sponsor The Negaunee Foundation and co-sponsors including an Anonymous Donor and Mr. and Mrs. J. Christopher Reyes. Major in-kind audio support provided by Shure Incorporated. Founded in 1954, the Lyric continues to be dedicated to producing and performing consistently thrilling, entertaining, and thought-provoking opera with a balanced repertoire of core classics, lesser-known masterpieces, and new works; to creating an innovative and wide-ranging program of community engagement and educational activities; and to developing exceptional emerging operatic talent.Single tickets for “Jesus Christ Superstar” at the Lyric Opera House, 20 N. Wacker Drive, start at $35 and are on sale now at jcsuperstar.org, in person at the Lyric box office, or by calling (312) 827-5600. FYI: jcsuperstar.org or visit lyricopera.org.